Elwood Blues: What kind of music do you usually have here? Yes, until recently you could have any kind of jet fuel, any kind at all, so long as it was made from petroleum. 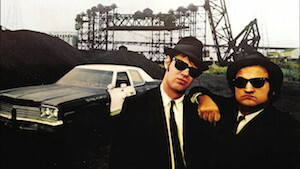 So it wasn’t completely in jest that Fulcrum BioEnergy CEO Jim Macias invoked the Blues Brothers in opening remarks at Fulcrum’s first commercial groundbreaking. “It’s unusual in the energy business to quote the Blues Bothers, but as Elwood put it, ‘We’re on a mission from God’. 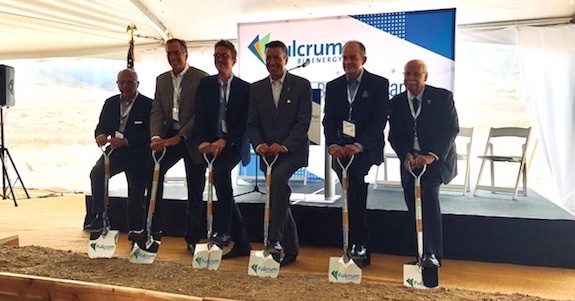 Near Reno, Nevada, Fulcrum BioEnergy broke ground today for its 10 million gallon per year first commercial plant that makes jet fuel from municipal solid waste. For thousands of years we have had a love/hate relationship with waste. We love to make it, we hate to deal with it. For 10,000 years we buried it, dumped it, incinerated it, agonized over it, smelled it, and flushed it. Now we’re going to try something new. We’re going to fly on it. “We knew seven years ago, and I knew,” reflected Nevada Governor Brian Sandoval, who was on hand for the groundbreaking, “when Nevada led the nation in unemployment and was in its worst shape ever, we needed to do better in economic development. Now, the Tahoe-Reno Center is a centerpiece of what some people call the Fourth Industrial Revolution. “Now, we have the largest data center up the road, and the largest advanced manufacturing center on planet earth. It’s the new Nevada, And there’s the third piece, which is clean energy. Now, we have $250 million invested, and jobs, good-paying jobs. This is the Project That Refused to Die, despite all the roadblocks that have sidelined so many clean fuels projects. Jim Macias credited the stakeholders around the project. “First, our founding investors. A lot of boards have steered their renewable fuel companies into real trouble, but our board has provided just the right push, focus and guidance, and our differentiation begins there and we wouldn’t be here without them. “And, our technology and contracting partners. Like United Airlines and Cathay Pacific here with us today. A lot of companies talk about sustainability, but these companies are doing something about it. Money has come in from as far away as Hong Kong to support this project. And partners like Air BP and Andeavor, companies leading us to a new generation of fuels. Our banks, and EPC and everyone else. The idea of creating more domestic energy production and energy security, building a new industry, while getting ourselves around the skies in a cleaner, more sustainable manner has such obvious benefits that we might wonder why it has taken us so long to figure out a way to do it. The saga of Fulcrum BioEnergy from formation to today’s groundbreaking is proof positive that neither the technology nor the financing was a no-brainer. The path towards cleaner fuels has been obvious for some time, but the path towards affordable, cleaner fuels made in a way that sustains companies and rewards investors for running the risks — that’s been more difficult than untying a Gordion knot, until along comes Fulcrum in Alexandrine fashion to slash the knots within which we had fouled ourselves and our journey towards better tech. In the end, it took a company that compared itself to clean water to make a renewable fuel from dirty solids. Ratings? They’re not rated bonds. We wondered why. The Digest’s 2017 Muti-Slide Guide to Fulcrum Bioenergy is here. “It is Chicago second,” Macias noted, “and that should be no surprise as it is major hub for United, BP and also Cathay is big there. Waste Management and and Waste Connections have big market shares there as well. “The third one will be on the west coast because of how attractive the California market is, very attractive to sell fuel into, and it is also a tight fuel market and that makes it a high priority for our fuel partners. It could be in California, or we could transport into California. moving up and down the coast. “So, we have two plants ready to go. In my experience, you want to make sure to have several projects in development, and let the cream rise to the top. Each of them has to have a good site, location, good labor market, but without being coy we want there to be competition between several potential sites, say, on the West Coast. Last September, we reported that Fulcrum is planning to develop eight of its MSW-to-biofuel facilities by 2022, including the first 11 million gallon facility that is expected be online during the second half of 2018. 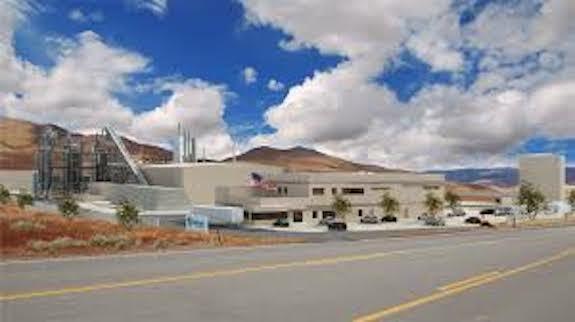 Those new facilities, five of which will be developed by United Airlines as part of their investment deal sealed in June 2015, will be between three and six times the size of the Reno facility. « Grassley vs Pruitt: Will Billionaire Bailouts or Biofuels prevail?